Are you looking for an Elevation Certificate in Glen Rock, NJ? Omland & Osterkorn is an experienced and accomplished engineering firm that can provide you with an Elevation Certificate in Glen Rock, NJ. What Is a Flood Elevation Certificate? The National Flood Insurance Program uses Flood Elevation Certificates to record the base flood elevation level of residential and commercial buildings across the country. 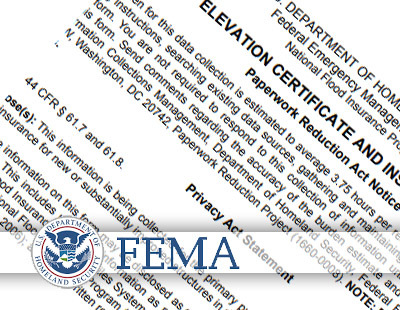 FEMA (the Federal Emergency Management Association) uses the Flood Elevation Certificates to conduct flood studies so that they can better prepare for potential flood emergencies. The certificate will show if your property is in a flood zone and, if it is, how much of a flood risk it is. The Short Answer: It can reduce your flood insurance rates. The Long Answer: Flood insurance companies require that property owners file a New Jersey Flood Elevation Certificate from a licensed surveyor or engineer to determine flood risks and bill you properly according to their actuarial tables. Without an elevation certificate, they can assume the worst and bill you as much as they can get away with. With one they will charge you what you are actually due. What if My Property Isn’t a Flood Risk? You will still need an elevation certificate to prove that you aren’t. The good news is that, once your surveyor has demonstrated that you aren’t a flood risk, you can request a Letter of Map Amendment (LOMA) from the government. Depending on your insurance company, this can potentially waive the requirement for flood insurance. If they don’t waive it, you might want to consider seeing if you can find an insurer who will. What Do I Have to Do to Get One? Schedule an appointment with Omland & Osterkorn. We will work out a time to send you a skilled land surveyor to perform the necessary work to get you an Elevation Certificate in Glen Rock, NJ in a timely and affordable manner. A legitimate Flood Elevation Certificate will include our signature and a raised seal. For more information about elevation certificates in Glen Rock, NJ, speak to one of our engineers at 973-647-7820. Omland & Osterkorn – Your Trusted Elevation Certificate Surveyors in Glen Rock, NJ.